Months before the American Medical Association sends its Field Guide to HIPAA Implementationto press, hundreds of orders are pouring in from physicians seeking to understand and comply with the Health Insurance Portability and Accountability Act (HIPAA). Regulations are complex and broad in scope. Major concerns about the cost and disruption of HIPAA compliance are making preparation for compliance even more difficult. The Field Guide's primary focus is to cut through the confusion with a comprehensive book, easily understood by anyone who works in the physician's office. "Physicians have always respected patient confidentiality," says David C. Kibbe, MD, MBA, Chair and founder of Canopy Systems, an Internet-based software firm specializing in utilization, case and disease management. Kibbe was selected for his deep insider's knowledge of HIPAA privacy and security. "However, physicians also need to understand the gap that exists between the current state of medical practice management and the privacy and security changes required by HIPAA. My hope is that this book will ease the HIPAA transition for physicians and their office managers." Kibbe is a graduate of Harvard University and Case-Western Reserve University School of Medicine and holds an MBA from the University of Texas, Austin. He is also an adjunct assistant professor at UNC School of Public Health, Chapel Hill. Dr. Kibbe practiced as a solo family physician in small groups and academic settings for more than 15 years. "Understanding the regulations will be one of the most daunting challenges for any doctor's office," says Mike Hubbard, a health care attorney with Smith, Anderson, Blount, Dorsett, Mitchell & Jernigan, L.L.P. in Raleigh, NC and one of the Field Guide'sco-authors, has been a popular resource for state medical societies because of his plain language approach to HIPAA. Hubbard was selected because of his national reputation in understanding HIPAA's privacy laws, including health and insurance law, health informatics and e-health matters. Hubbard holds a BS degree in chemistry from Randolph-Macon College and J.D. degree from the University of Virginia School of Law. Jan Root, PhD., Data Standards Manager with the Utah Health Information Network (UHIN) was Co-Chair of the ASC X12N Health care Claim transaction work group and is primary author of the HIPAA professional health care claim transaction. In her role as an X12 Co-Chair, Dr. Root has been instrumental in developing the national provider identifier, electronic transactions, national payer identifier and security. Her insider knowledge of X12 standards and her plain language delivery of complex electronic transactions to multiple audiences are two reasons why she was selected as co-author of the HIPAA Field Guide. The genesis of the Field Guide came from Carolyn Hartley, a publication and public affairs consultant who saw a significant gap between HIPAA mandates and physician acceptance. She brought the author team together and presented them and the Field Guide concept to AMAPress's acquisition editors. "There are plenty of HIPAA learning tools available to physicians, but most are written for lawyers," Hartley says. "AMAPress has a long standing reputation of being a trusted resource for physicians and they are a good publisher for this book." Hartley is a seasoned journalist and holds a Master of Liberal Arts degree from Baker University. The Field Guideis her 26th book-length project. For more information about AMA Field Guide to HIPAA Implementation, consult www.amapress.org, keyword "HIPAA." The American Medical Association, the nation's leading medical authority, is an organization of physicians dedicated to the health of America. The organization can be found at www.ama-assn.org. Canopy Systems, an ASP provider, specializes in software for care coordination, including utilization, case and disease management. The company's flagship product, Canopy, is a focused solution for online workflow automation, communications, clinical guidance, and data analytics for care managers working in hospitals, integrated delivery systems and provider networks. For more information, consult www.canopysystems.com. Smith, Anderson, Blount, Dorsett, Mitchell & Jernigan, L.L.P. is a full-service law firm located in Raleigh, North Carolina. For more than 80 years they have served clients by providing the highest quality services in a practical and professional manner. As one of North Carolina's largest firms, their clients range from the area's hottest start-ups to blue chip multinationals. 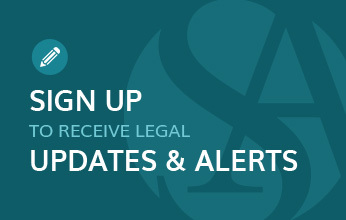 For more information, consult www.smithlaw.com. Utah Health Information Network is a not-for-profit organization that is reducing the cost of administrative health care through electronic transactions, electronic transactions standards and education. It is based in Salt Lake City, UT, and provides assistance to organizations nationwide. For more information, consult www.uhin.com. Carolyn Hartleyis an independent publishing and public affairs consultant who has co-authored, edited and packaged educational and consumer books for controlled and mass distribution for corporations and publishers. She has also served as a communications executive with an international communications agency. For more information, contact CarolynPHartley@aol.com.